Despite their small sizes, Maryland and Washington, DC, possess a vast range of environments -- from the high peaks of the Allegheny Ridges to the low marshes of the Chesapeake Bay. Home to 200 nesting bird species, these habitats are under constant threat from urban sprawl, changing farming practices, and the degradation of coastal wetlands. 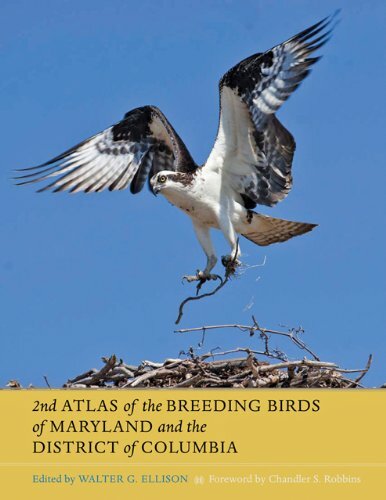 The Second Atlas of the Breeding Birds of Maryland and the District of Columbia documents the impact of these environmental changes on the region's bird population and discusses the recovery of the endangered Bald Eagle and the new confirmation of breeding by three species -- the Common Merganser, the Ruddy Duck, and the Double-crested Cormorant. Treasured by birders -- and an invaluable reference for ornithologists, conservationists, and land use planners -- this book will significantly influence our understanding and management of avian species in the region for the next decade. Great instruction on parrot care. This is an excellent book on the total care of baby parrots. Also includes general care of adult parrots. I've read many parrot books and have owned a parrot for 10 yrs and I highly recommend this book. Well written and a good reference book. This book has just the right information for a beginner like myself. It also has pictures that suits someone like me who depends more on graphic presentation than just words. It does not contain too many technical terminology for the general public to grasp what the author is saying and understand the message it is meant to convey. Not what it claims to be! The information in this book is sorely outdated! Try Parrot Breeder's Answer Book, The instead, and plan on learning more on hand-feeding from the internet or from one of the manufacturers of the commercial hand-feeding formula that is available now. 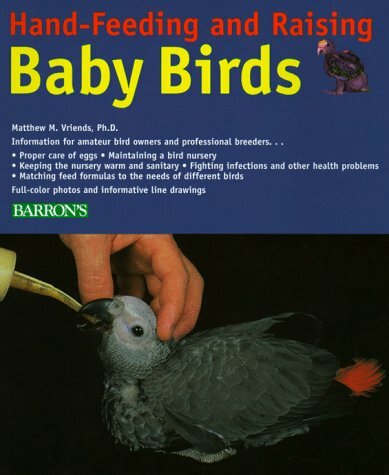 Matthew Vriends HAND-FEEDING AND RAISING BABY BIRDS is of some use to me although I prefer Gayle Souck's PARROT BREEDER'S ANSWER BOOK.Vriend's book is not nearly as comprehensive, he goes deep whereas Soucek goes broad.However, I appreciate the detailed sections on the selection, care and maintenance of incubators including photos of the various types of incubators as well as text describing air filtration systems (`still air' and ventilation), automatic egg turners versus doing it yourself, and temperature, light and humidity considerations. Interestingly, neither author cites the other even tho Barron's produced both books and they are somewhat complementary. As well as incubation, Vriends book covers feeding in great detail with numerous photos of very small chicks being hand fed.I like this book because I needed more in-depth information about actual feeding practices, including a discussion of the different nutritional needs of different birds who require formulas.Whether you are raising companion birds or you are an animal rehabilitator/rescuer you will probably find this book useful. This is a comprehensive historical record of all free-ranging bird species known to be breeding in Georgia around the beginning of the new millennium. The atlas profiles 182 species, from the sociable House Wren to the secretive Black Rail; from the thriving Red-shouldered Hawk to the threatened Wilson's Plover. The atlas is the result of a systematic survey conducted from 1994 to 2001, the massive collaborative effort of several private organizations, public agencies, and many individuals. It offers a wealth of information critical to bird-conservation efforts and provides a baseline so that changes to species ranges, numbers, and other significant aspects of each species' status can be better understood. Each species account includes a color photograph of the bird; information on the bird's habitat and life history, distribution, population trends, and conservation status (details discussed include diet, nesting habits, life cycle of the young, predators, and interactions with humans); color distribution map showing the state's six ecoregions and indicating possible, probable, and confirmed breeding; and graphs showing population trends. And highly informative. Species accounts are detailed, maps well-done, photos excellent. Anyone who wants a beautiful book that's filled with information about Georgia birds,and birds in general, will appreciate this publication. Disclaimer: I am a contributor to this book!! 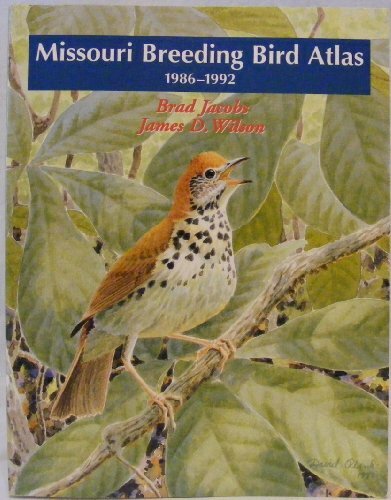 This atlas represents the field work carried out in Missouri between 1986 and 1992 to document all species that breed in the state.As typical of most atlases, the primary focus of this book is to provide a map of where the birds breed and to offer an account of the natural history of each bird.The state was divided into 1,210 blocks and all but 3 were surveyed during the study period. A full-page map of Missouri is given for each of the 160+ breeding birds.The map contains boundaries for all counties.Blocks of three shades of gray are placed over the map to designate the location and status of a breeding bird.Nineteen different codes were used in the field surveys and then arranged into three distinct categories reflected on the map.These three status types are confirmed, probably, and possible breeding. Another small map of Missouri displays the six primary phsyiographic regions of the state, which are shaded to represent the relative abundance of sightings of the bird.Another table shows nicely the seasonal timing for four types of breeding categories. The text offered for each bird encompasses four key topics:habitat, code frequency, distribution, and abundance.Each receives a brief paragraph to give a basic synopsis of each subject.The information offered in the text is a bit on the generic side and is somewhat sparser in comparison to other state atlases I've examined. 4) Iowa Birds by Dinsmore et al. 5) Iowa Breeding Bird Atlas by Jackson et al. 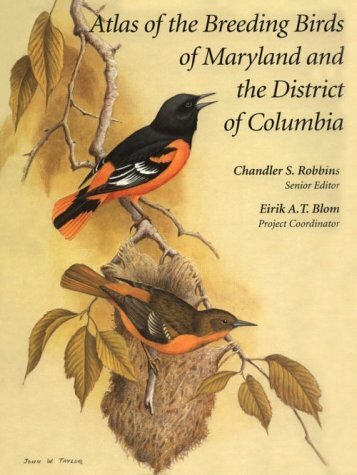 The culmination of five years of intensive field work, this atlas presents data on 199 species of birds that breed in Maryland and the District of Columbia. Each species account contains information on habitat requirements, distribution, abundance, history, and nesting characteristics. The editors of this highly anticipated second iteration, a much-needed update to the first, have done a nice job of putting together an informative atlas. Excellent quality in the maps and illustrations is evident throughout. I expect this will be a much appreciated and often-cited reference work for years to come. The book covers 241 species with excellent overviews of the current status of each one. For each species there is a map of the state noting possible, probable, and confirmed nesting. For each species there is another map showing changes since the 1980-85 atlas. And for most species there is a graph of abundance changes since 1965 using data from Breeding Bird Surveys. Also for most species there is a summary of changes through the nineteenth and twentieth centuries. This is a lot of information, all well presented. 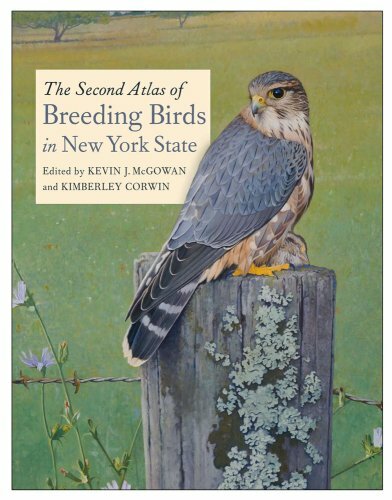 Because most of the birds which migrate through one part of New York State nest within another part of the state, this book covers most birds found in New York, omitting only a few waterfowl, shorebirds, and some winter visitants. It is admittedly a reference book, not something to be read from cover to cover, although you can and you would learn a great deal. But as a reference, if you were to read about each bird in your backyard, and one or two birds from each bird walk, you would be well rewarded. You will discover which birds nest in or near your home and exactly when they nest, plus you will learn how their abundance is changing (which is often disturbing). And you will learn their habitat preferences and the perils they face. But there is more! The book opens with six chapters including habitat descriptions, a summary of changes, and a description of how the data was collected and analyzed (some of this may be too technical, but persevere and stretch your knowledge). There are also accounts of birds found nesting which do not regularly do so in New York, as well as accounts of birds which no longer nest here. And best of all, nearly worth the price of the book by itself, there is an appendix listing when each species lays its eggs, when the eggs hatch, and when the young fledge. This data is specifically for New York, data hard to find but now available and significantly updated since the first atlas. The first thing you have to realize is that this is not a field guide to birds. It is a comprehensive guide to species in our little part of the birding world, historically. The black and white drawings are beautiful and the full color representations of bird art are very nice to look at. Good coffee table book to pick up and thumb through or to see if the new species you saw in your front yard is a rare find or common to the area. Long awaited and well worth the wait.Especially useful for those who want to go beyond birdwatching in their yards to finding out what to look for while traveling within New York State.The information re location is more specific than what is found in a bird guide -- and the information on each species is far more extensive.A big book, though.Not something to carry in your shirt pocket. I purchased this book hoping to gain interesting and entertaining descriptions of our bird species in New York State.That was not the case.This book represents the end product of many years of study and field observations by many birders in New York, and is a great collection of the changes in geographical distribution and populations of our birds, but it is not a fun read.Make no mistake - this is a text book.I am always happy to support our birders and birding research, but make sure you realize what you are purchasing. It is IMPOSSIBLE to overstate the value of this book for Ohio/Great Lakes Area birders. Though it has the "look" of a just another dry "Field Guide", Peterjohn's "The Birds of Ohio" - don't be fooled - besides being very informative, it is an interesting and entertaining read from page to page to page. Though it's title would lead one to think of it as a "local" work, the reader should realize the Ohio area is one of huge REGIONAL impact, that region encompassing much of east-central Canada and the east-central U.S.All Thumbs Up for this one !!! This thick book seems to be filled with every detail on the birds of Ohio. A serious birder will most likely enjoy and treasure this volume. Illustrations (mostly maps of the state) are black and white line drawings. I did not find any color illustrations or photographs. The amature birder may find this a bit dissapointing. Those that take this hobby seriously would most likely rate this book at 5 stars. Peterjohn's"The Birds of Ohio" is the definitive scholarly work on Ohio Birds.Unlike other books of the same name this book is entirely original and based upon the authors own research.Other books have a more a cookie cutter approach.The publishers have created similar works for other states using much of the same information.While none of these works is intended as a field guide.Peterjohn provides the most complete and useful information for anyone interested in Ohio birds. Peterjohn's, work is exhaustively researched and very well written, making it an invaluable reference.The species accounts tell the story of each species in Ohio and provide references.For common birds, habitat, migration, and nesting information is provided in a useful way.For rarities, a good history of sightings is provided. Also included are the maps developed during the first Ohio breeding bird atlas.These provide a good reference on the distribution of these species. 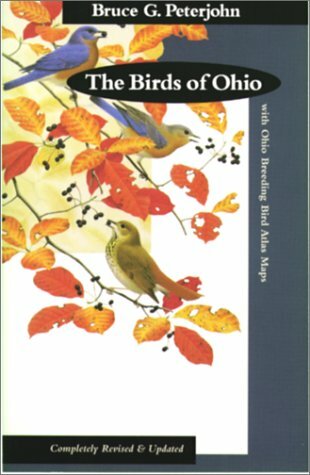 This is the 2nd edition of the book and includes up to date information through 1999.Only a few species have been added to the Ohio list in the following years. I enjoyed the information this book has to offer. It is written so people of all ages and interests can enjoy it. It is recommended reading for anyone that is beginning to get into pheasants and wants to know about eachbreed, where they come from, markings, behavior and comparisons. In myopinion the book was too short, Leland Hayes has a LOT more to offer. Ican't wait for his next books to come out. I can't say anything moreexcept 4 stars and It is a 2 thumbs up book. 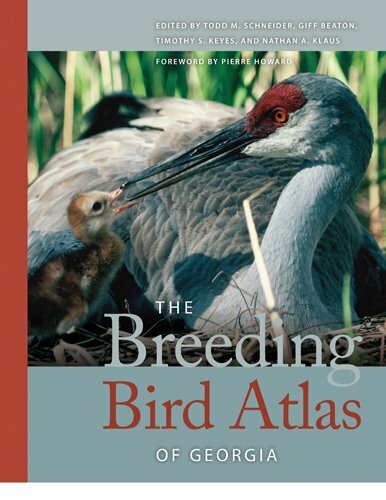 If you are serious about studying and watching birds in Michigan this is an important book to have.It is dated (1991) but I would recommend having this and anticipate the new updated version to come out in 2009 or 2010 from the currently active atlas project. This is an atlas, not a field guide or illustrated book.Most of the book is made up of accounts of all the species of birds that nest in Michigan with a summary of their habits, abundance, history and breeding biology with the facing page a map of Michigan townships with indications of breeding evidence for the species.For example the nearly ubiquitous American Robin has nearly every section in every Michigan Township shaded in (other than some underbirded areas)and birds that are rare or geographically limited are shown in their only areas (eg. Black Tern in coastal and large interior marshes).This helps the beginning birder to know where to search for species and illustrates graphically the need for conservation. Two other books that are important adjuncts for this are "Birds of Michigan" by James Granlund, an illustrated natural history of birds of the state and "A Birder's Guide to Michigan" by Allen Chartier and Jerry Ziarno. "A Birder's Guide to Michigan includes 200 sites across the state for birding and additional information on bird migration through the state that complements the Michigan Breeding Bird Atlas. In the 1980s, a thousand volunteers surveyed our entire state in an effort to record and map an atlas of the birds which breed in Michigan. 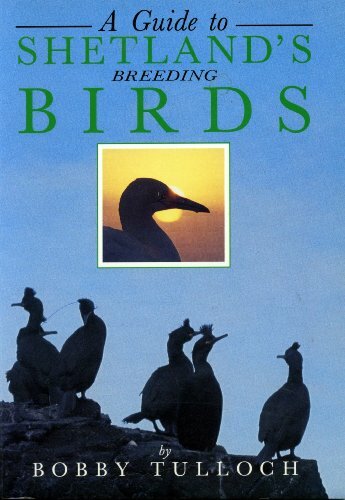 This information is summarized and contained in "The Atlas of Breeding Birds in Michigan, which was published in 1991. Starting in 2002, the Kalamazoo Nature Center began to coordinate the creation of a second Michigan Breeding Bird Atlas. The data collection portion of this process is scheduled to be completed in 2008, and I was fortunate enough to be one of the bird-watching volunteers involved in this second multi-year survey. The 1991 edition of the atlas is a large hardcover book with a handsome dust jacket. The 594 pages are illustrated throughout with black-and-white drawings, and detailed maps of individual species locations.Each bird is described (in rather small print), along with its habitat, seasonal occurrence, and current status.There is also a conservation section included for rare, threatened, or endangered species. 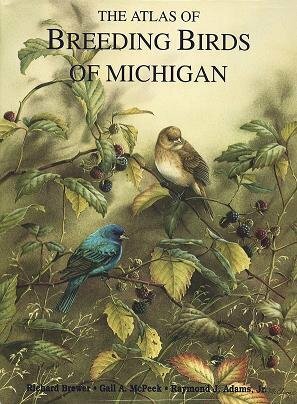 This atlas begins with a detailed discussion of Michigan ecology, plus a chapter on "The Original Avifauna and Postsettlement Changes. "It ends with a huge bibliography, appendices, a list of contributors, and an index of common and Latin bird names.It is absolutely the most detailed reference atlas of Michigan birds on the market.The only thing it lacks is color photographs of each bird species, so it needs to be supplemented by a good field guide. This is an excellent bird book. It itemizes observed breeding evidence of birds by township. It is very detailed and very well done. Excellent descriptions of each species. I also liked the intro. It provides bird habitat information such forest, wet lands, fields. Good history of the changes in bird species over time. Only weakness- it was written in 1991. In the past decade, several birds have expanded their territory (i.e. turkeys and bald eagles). If you live in Michigan and watch birds, this is the book to buy. I was think this book is a book with low quality and not photographs, but when I buy this book, I see it's a beatiful reference for Turkey. 463 species that admitted into Turkish list are listed, with usually three paragraphs, first paragraph is about subspecies and taxonomy, second is about distribution and third is (only found in breeding birds) about breeding of species. There are two paragraphs about vagrants, one with subspecies and other with records. Most of the vagrants recorded ten or less times. There are distribution maps for all species (including vagrants). Pale gray=winter, dark gray=breeding, almost black=resident,barred marks=passage, black dots=vagrancy reports (also means breeding sites and overwintering sites for some uncommon birds). There are photographs of more than 50 species, also photograph of important bird areas in Turkey too. Species that not accepted to Turkish list is listed in main section of book with orders, there is a [ mark before their common names and after latin names. There are two paragraphs for probable species, one about subspecies and other about why it is not accepted onto Turkish list. There arte Turkish names of all species are writed below the common name. There is a very long introduction about fauna and flora in Turkey, bird species and accounts and how to use this book (near 40 pages!). So, it's a very good guide. Superb! 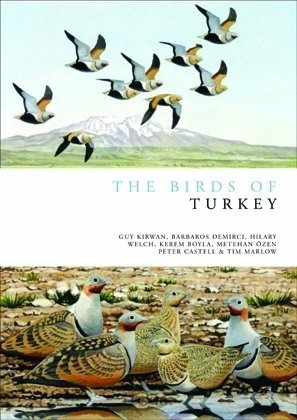 This is a solid ornithological reference to the status, distribution, and breeding of all the birds found in Turkey.Enhancing the book are 78 good color photographs and a good introduction to the ecoregions and the ornithological history of the country. Predominantly a reference that documents the presence and status of the 463 species known from Turkey, this book offers a good account for each bird.The section on status and distribution does a good job at consolidating historical records to provide detailed dates of occurrence in various regions of the country.This information is typically 1-2 paragraphs in length.The other section on breeding, which can be as long as half of a page, also makes good use of the many references researched by the authors. This breeding information describes the nesting and the types of nesting sites.A comprehensive summary of nesting dates are given for separate regions of the country. Another short account is provided for any subspecies that may be present in Turkey.This information offers brief notes on the historical records of these birds. The 78 color photographs are of very good quality.These photos display 57 species along with 21 different habitat types across Turkey.The photos of the Moustached Warbler, Finsch's Wheatear, and Cretzschmar's Bunting are especially good. The range maps zoom in on just Turkey, barely showing the bordering countries.The ranges of the birds do not extend beyond the country's borders.Four different shadings are used to denote year-round residency, breeding visitor, non-breeding (winter) visitor, and migrant.For vagrant species, small gray or black dots are used to indicate individual records.These dots do not always stand out and can blend into the geographic features of the map.In comparison, the maps of Roselaar's book "Songbirds of Turkey" are much better for displaying detail. The author's provide a good 35-page introduction of the ornithological history in Turkey as well as a thorough description of the country's 13 distinct ecoregions.Reading through the few pages that discuss the strategy of making the species accounts gave me a better appreciation of the material presented in the book.Lastly, a very comprehensive 31-page bibliography is provided. I think it would be fair to say this book is a more thorough extension of the earlier book "Songbirds of Turkey" by Roselaar, which is also a very good reference on the distribution and status of Turkey's breeding passerines. 7) Birds of Europe by Mullarney et al. 8) Field Guide to the Birds of the Middle East by Porter et.al. 9) Birds of the Middle East and North Africa: A Companion Guide by Hollom et.al. In 1974, the Massachusetts Audubon Society and the Massachusetts Division of Fisheries and Wildlife launched a five-year survey to map the distribution of all the birds that breed in the Commonwealth--the first such comprehensive effort in North America. Nearly 600 volunteers spent countless hours in the field collecting data. This landmark volume presents the results of their efforts. 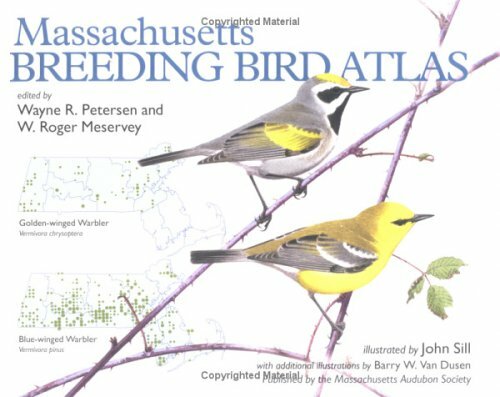 The book includes distribution maps showing possible, probable, and confirmed breeding areas for 198 Massachusetts nesting species on a grid of 989 ten-square-mile blocks. Opposite each species map is a summary account giving historical perspective, relative abundance, habitat, seasonal schedule, nest, egg, and song descriptions, clutch size, egg dates, number of broods, and other pertinent details. Each species account is illustrated with a scrupulously accurate, watercolor portrait by award-winning nature artists John Sill and Barry Van Dusen. The book also includes a set of eight transparent overlay maps in an attached pocket that allow the reader to correlate key environmental factors with the distribution of nesting species. Introductory sections describe the atlas survey methodology, and two appendixes document bird species known to breed in Massachusetts before and after, but not during, the survey period, and list scientific names of plants and animals (other than birds) noted in the text. In Helpers at Birds' Nests, renowned naturalist andornithologist Alexander Skutch provides vivid, detailed accounts of aremarkable aspect of bird behavior--the aid that one bird givesanother who is neither its mate nor its dependent young and who mayeven belong to a different species. In graceful, clear prose, Skutch makes accessible to amateurbird-watchers examples of cooperation in species as far-flung as thelittle rifleman of New Zealand, the Laysan albatross in the midPacific, and the neotropical birds of Skutch's own Valley of ElGeneral in Costa Rica. 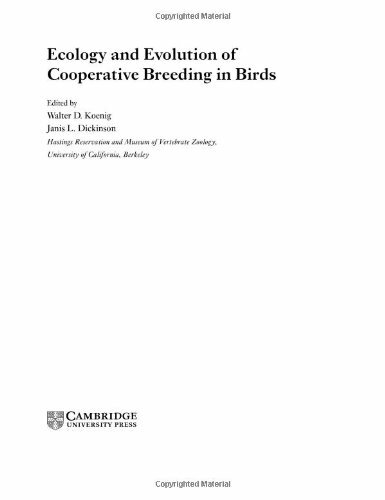 Skutch describes the cooperative behavior of more than fiftyfamilies of birds. Each family is introduced by a brief sketch of itsdistribution and outstanding features, followed by intimate,nontechnical accounts of the helpful behaviors that have been mostcarefully studied. Skutch considers the significance of helpful birdsand discusses the theoretical aspects of cooperative breeding, itsevolution, kin selection, altruism, and demography. The most authoritative and up-to-date resource on the birds of Ontario. Ontario's boreal forest is the breeding area for most of North America's songbirds. More than 3,000 birders contributed to this book by surveying the province from Lake Erie to Hudson's Bay. With 400 color photographs, the atlas provides detailed information on the distribution and population status of all the birds that breed in Ontario, which then migrate all over the continent. The 900 maps illustrate and record the breeding population for all the species and their range changes since the first atlas was published 20 years ago. Special "new abundance" maps and population estimates for many species reveal how numbers vary across the province's vast and diverse landscape. Among the interesting discoveries these birders brought to light: the Canada goose and the house finch experienced the greatest increases in population, and the common nighthawk and chimney swift experienced the greatest decreases. 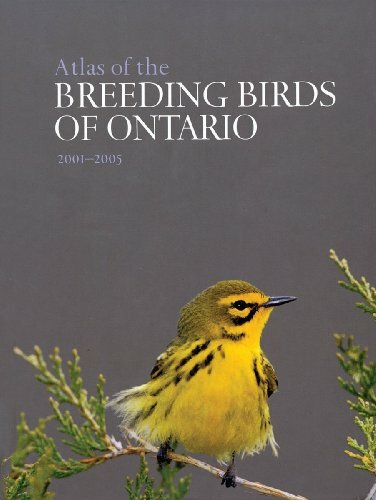 The Atlas of the Breeding Birds of Ontario is the definitive reference for birders, biologists and any general reader with an interest in nature and the state of the environment. The Arizona Breeding Bird Atlas is the capstone of the first comprehensive statewide survey of Arizona's breeding birds. More than 700 surveyors, mainly volunteers, reported a total of 376 bird species during the 1993–2000 field seasons. Of those species, 283 were confirmed as breeding and 18 additional species were suspected of potentially nesting in the state during the atlas survey period. 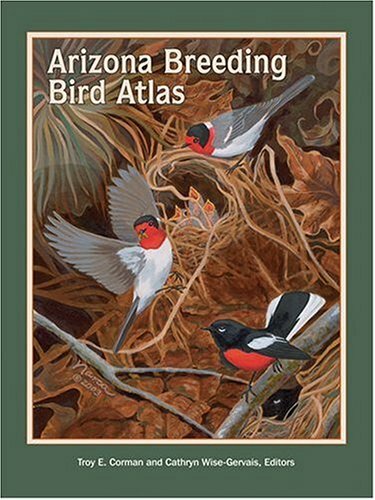 This atlas provides a breeding distribution snapshot for each of Arizona's nesting bird species at the end of the twentieth century. Bird populations change constantly due to environmental factors and human activities. The data compiled in this book will serve as a baseline against which to judge future changes. It also provides a wealth of natural history information. This book is of superior quality.I will use it for many years to come. 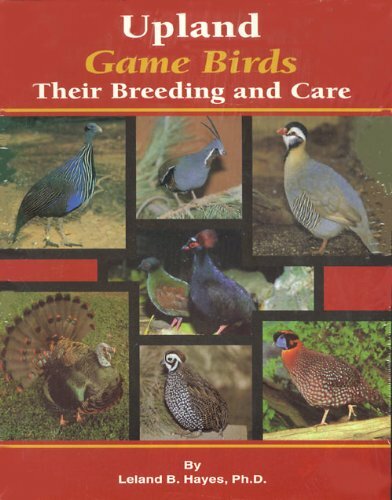 At last, the definitive guide to breeding birds in Arizona. Well written with beautiful photographs. A must have reference for the serious Arizona birder and avian ecologist. If you're into birds buy this book. Excellent book, love it so far.Lots of great info as well as nesting locations and life histories for all the nesting birds in Az.As a student of wildlife biology/ornithology this book has already come in handy a few times.The only thing I would change is maybe better pics, or diagrams to help in identification.Overall though, I would definately suggest this book to anyone interested in ornithology.BUY IT! 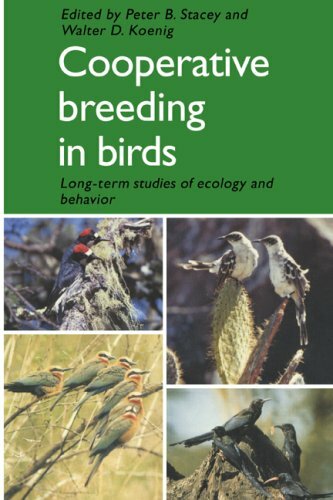 If you don't have it, GET IT!The new authority on Arizona's breeding birds has rode into town! Arizona has been a dream destination for birders and ornithologists for a century and a quarter. Since the publication of the first Lane guide more than 30 years ago, traveling birders have benefited from the availability of a number of "birding Baedekers" for finding the state's many specialties. But what of birders who want to go beyond simply listing the Arizona rarities? With Phillips et al. 's excellent monograph on the distribution and status of Arizona's birds more than forty years old, and the most recent annotated checklist pushing 25, local birders and visitors alike have often found it difficult to place their sightings in context. Now come Corman and Wise-Gervais, and their corps of well over 250 volunteer 'atlasers', with the first major reference work on the state's birds to appear for a long generation. Well designed and richly illustrated, the new Arizona Breeding Bird Atlas (or, to use the faintly discoish acronym, ABBA) fully deserves the place of honor it will occupy on birders' bookshelves, next to the magnum opus of Phillips, Marshall, and Monson. Field work for the ABBA was begun in 1993 and completed at the turn of this century. Given the size of the state and the low number of observers available in all but the most densely populated areas, a system of "priority" blocks was developed for the surveys; the difficulties and the sampling methodologies developed to overcome them are clearly described in the book's introductory matter, as are the criteria and definitions used to document each species' breeding status. While the book covers only those species known or suspected to have bred in Arizona, the splendid maps and well-illustrated habitat descriptions will be tremendously useful even to birders who visit the state only during non-breeding season (a nearly meaningless concept for species such as Lesser Goldfinch, which nests nearly year-round in the desert lowlands). The results are published in a series of clearly structured species accounts, each occupying a full opening and each with a photograph of the species and a dramatically large, easily interpreted map showing the locations of breeding records.The species portraits are strictly speaking not necessary, but with only a few slight clunkers in the lot, they do add considerably to the visual appeal of these pages. For many species, convenient graphs showing habitat distribution and breeding phenology are also provided. Although contributed by 19 different authors, the prose accounts show a uniformity of style that is greatly to the credit of the editors; only in the short anecdotal paragraphs beginning each account does the voice of the individual author intrude, sometimes charmingly, often less so. The 'meat' of the accounts is rigorously structured, with a detailed description of the species' habitat preferences followed by a clear summary of each bird's breeding biology in Arizona, including full and often carefully analyzed information on timing, nest construction, and behavior; this is simply great stuff, and it is high praise to say that over the last weeks I have found myself consulting ABBA in such matters as often as the online version of Birds of North America. The accounts conclude with a discussion of the map data; many of the most interesting comments here are those directed at the apparent absence of certain species (the mysterious Lewis's Woodpecker, for example) in areas where they might be expected to breed. Careful readers will note many opportunities for research into new topics.